You’ve been using dashboard and gauge filters for as long as you can remember. The many requests to bring this solution to reports have been heard. Now, we bring you the ability to customize your reports with filters too. 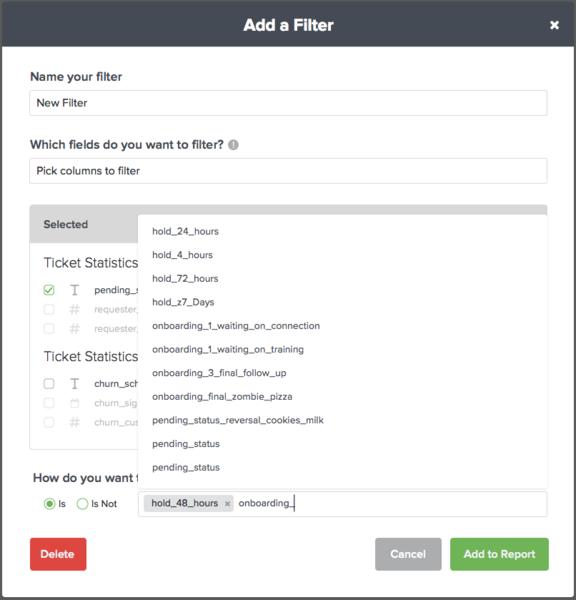 In this release, we allow users to filter Report gauges the same as they would via Dashboard filters. 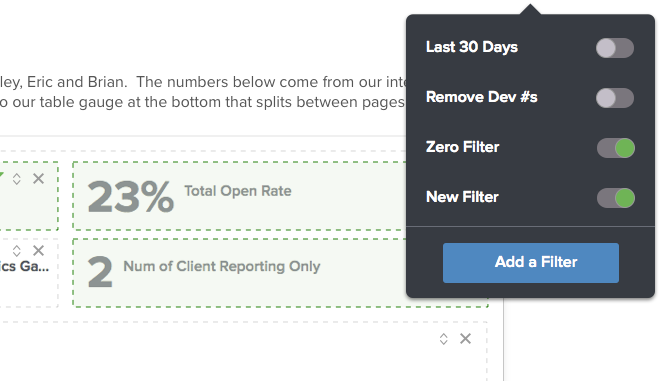 To provide a consistent experience with adding, editing and deleting filters, we’ve made additional improvements to the existing dashboard filters menu along with the ability to carry over existing filters to a report. Tip: Filters currently don’t save in report templates. If you want to apply filters used in a previous report, simply copy the report that’s already been sent out and modify from there. Also note, any client mappings already in place will combine with, not override the report filters selected for.